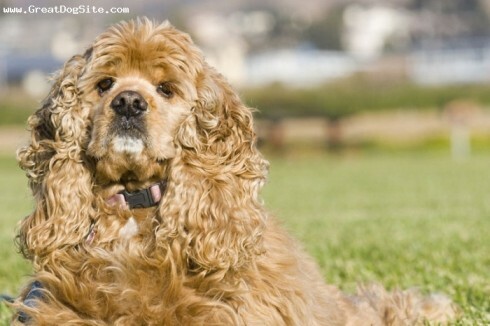 With big baby eyes, soft coat, cozy size, and an upbeat personality, it's easy to see why the Cocker Spaniel is one of the most popular dogs in America. 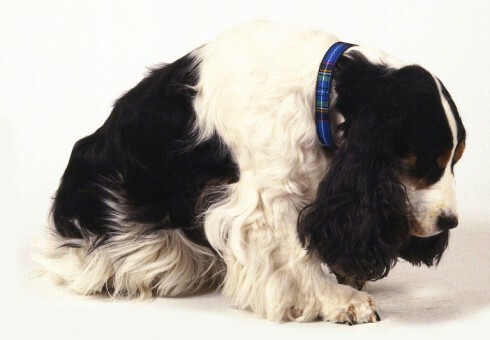 Cockers are sensitive and playful dogs, and they love people, often more than other dogs. 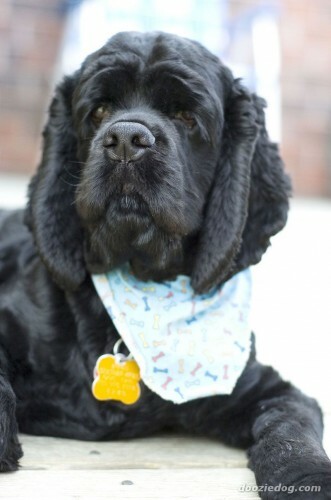 He forms a tight, lifelong bond with his owner. 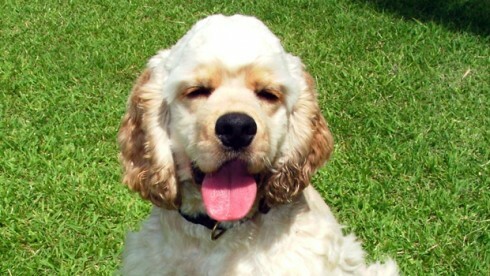 The Cocker can adapt easily to city or country living, as long as he gets his exercise and playtime. 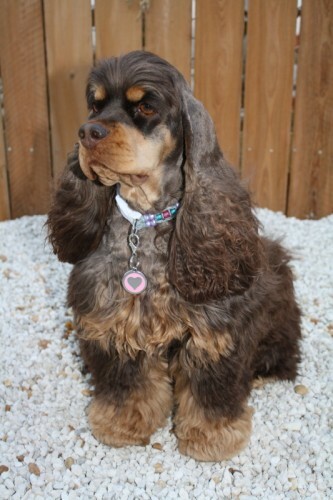 So you want to own a Cocker Spaniel? 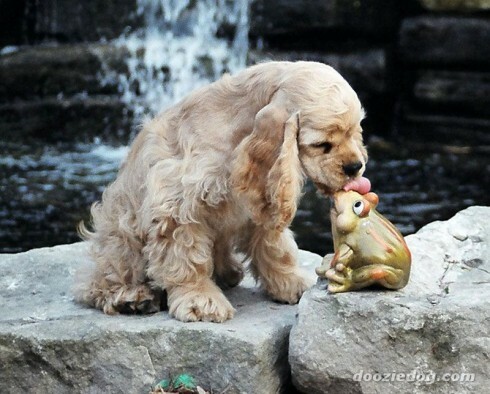 Grooming is essential and may require the help of a professional. 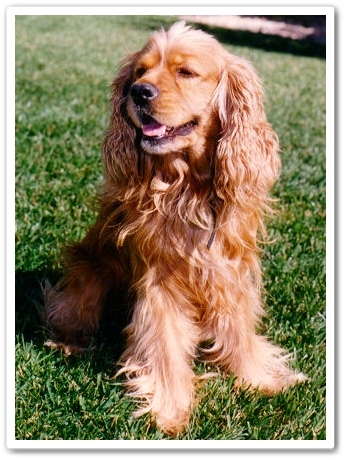 The Cocker Spaniel can live happily in a small apartment and will also take full advantage of any open space where he can run. 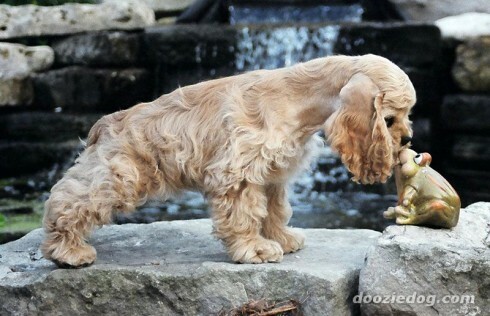 The Cocker easily adapts to any climate or living space. Cockers love people. 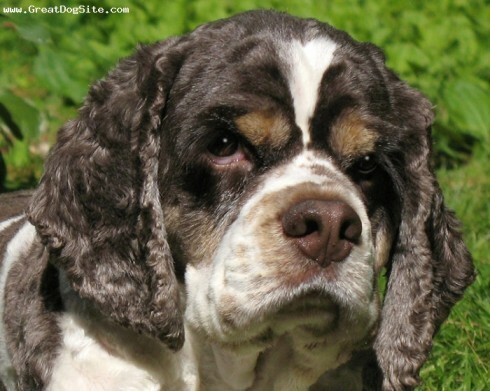 They make wonderful companions for the elderly and equally love and enjoy the company of children. Eyeballs round, full and looking directly forward. Shape of eyerims gives a slightly almond appearance. reds and browns, dark hazel; in parti-colours and roans of lighter shades, not lighter than hazel; the darker the better. Height at withers approximating length from withers to set on of tail. Chest deep. Lowest point no higher than elbows, front sufficiently wide for adequate heart and lung space, yet not so wide as to interfere with straight forward movement of forelegs. Ribs deep and well sprung throughout. Body short in couplings and flank, with depth at flank somewhat less than at last rib. Back strong, sloping evenly and slightly downwards from withers to set of tail. Hips wide with quarters well rounded and muscular. Body appearing short, compact and firmly knit together, giving impression of strength. Never appearing long and low. strong without slippage. Hocks strong, well let down; when viewed from behind, hindlegs parallel when in motion or at rest. Customarily docked. Docked: Docked by three fifths of tail. Set on and carried on a line with topline of back or slightly higher. Never straight up and never so low as to indicate timidity. When dog in motion, merry tail action. Undocked: Set on a line with topline of back. Moderate length. Feathering in proportion to the coat of the dog. Thicker at the root and tapering towards the tip. Carried on a line with the topline of back, or slightly higher, but never curled over the back or so low as to indicate timidity. When dog is in motion, merry tail action. On head, short and fine; on body, medium length, with enough under coating to give protection. Ears, chest, abdomen and legs well feathered, but not so excessive as to hide body lines or impede movement and function as a sporting dog. Texture most important. Coat silky, flat or slightly wavy. 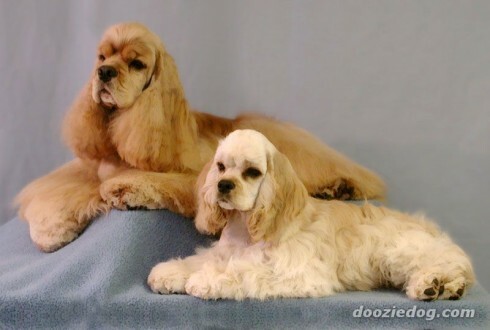 Excessive coat, curly, woolly or cotton texture undesirable. 1) A clear spot over each eye. 2) On sides of muzzle and on cheeks. 3) On underside of ears. 4) On all feet and legs. 6) On chest, optional, presence or absence permissible. Parti-colours: Two or more definite colours appearing in clearly defined markings essential. Primary colour which is ninety per cent or more highly undesirable; secondary colour or colours which are limited solely to one location also highly undesirable. Roans are classified as parti-colours and may be of any usual roaning patterns. Tricolours, any of above colours combined with tan markings. 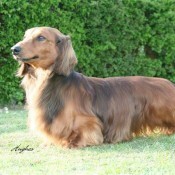 Tan markings preferably located in same pattern as for black and tan.